My biggest challenge–and the greatest source of excitement–for this school year is a pilot elective I am leading: Design for Change Studio. 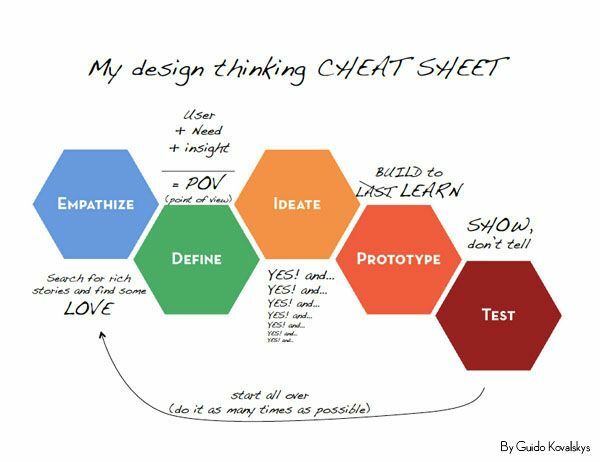 For a few years now, a group of us at FIS have been asking how we can incorporate more design thinking and project-based learning into the wider curriculum. Of course, iterations of this work are already happening in Design/Technology, Visual Arts, and Performing Arts, and now Design Thinking initiatives are taking shape in all kinds of forms, all over our campus. Presently, my own efforts are fully focused on this one course. To take the young designers through a quick design cycle, I asked them to solve a small, everyday frustration I have: broken tape dispensers. The new model of tape dispensers in the supply closet break too easily. When knocked to the floor, the flywheels snap and as there are no replacement spools at hand, the entire device ends up in the recycling bin. Also, I was wondering if there was a way to keep the dispensers from falling in the first place, without permanently adhering them to one spot. This was not the most world-shifting problem I could think of, but I thought it would be a straightforward challenge for student design teams to tackle within a two-week time frame. The solutions they devised took much longer. But over a month and half, we learned so much that is informing the way we tackle future design challenges. TAKE-AWAY #1: IT TAKES A VILLAGE ..or… HOW MANY DESIGNERS DOES IT TAKE TO BUILD ONE SPOOL? Just cutting the metal pins that would serve as the axle for the new flywheels took 5+ hours of our time to find the right method, and every member of the Design Technology department contributed with suggestions and elbow grease. In the end we used six different tools and input from 15 people to get metal pins that were just the right size. Throughout the different stages, no one person could ever build something successful in isolation. Even our resident 3D printing expert (one of the students) benefited from feedback. This process of testing methods, looking for improvements, talking the problems through, and trying again was more successful (and more fun) with multiple voices weighing in on the work. I think we all now understand that a “hive” effort is the only viable way forward. TAKE-AWAY #2: AUTHENTIC STUDENT WORK TAKES TIME…LIKE…A LOT MORE TIME. Students did not naturally embrace the IDEATE phase and produce a mountain of inventive ideas after just a quick video and demonstration of brainstorming techniques. They couldn’t simply add EMPATHY to their designs because I told them they should. Instead, I had to make space and time, giving students practice in building on each other’s ideas, chasing down really original thinking, and digging in to define their client’s needs.. I had to help them see value in weird, wild ideas. I had to give them time to fail and resisted swooping in with my own suggestions. I had to nudge, push, and cajole them past first ideas and let them work toward better ideas. I always understood what they meant, but after leading students through a seemingly small task of fixing some broken tape dispensers, I now understand this statement even more. Good design is always messy because the act of asking good questions about one problem just raises a whole host of other interesting questions and problems….and if students are going to engage in this kind of inquiry, their guides have to realize that there will never be any quick fixes because even the most mundane issue can become complex when approaching solutions with an iterative, optimistic, design mindset.